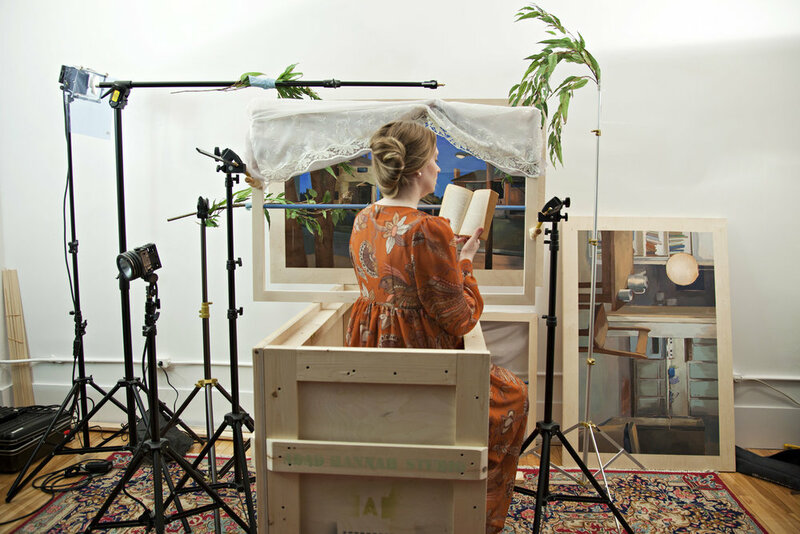 For Two Views I have created two small crated sets that unfold to reveal both the creation and presentation of an image I once saw but was unable to photograph. About 15 years ago, when I was living in Vancouver, I saw a small bird on a branch next to a house, and looking past the bird I noticed a woman standing on the other side of a window reading a paperback book. I was struck by the proximity of their gaze, and wondered if either of them was aware of the other one. Making a self-contained project that integrates both the artwork and the production of the artwork is something I have been working towards for a while. I am interested in the way video and photography bridge index and fiction, the here and now and the same place at a slightly different time. 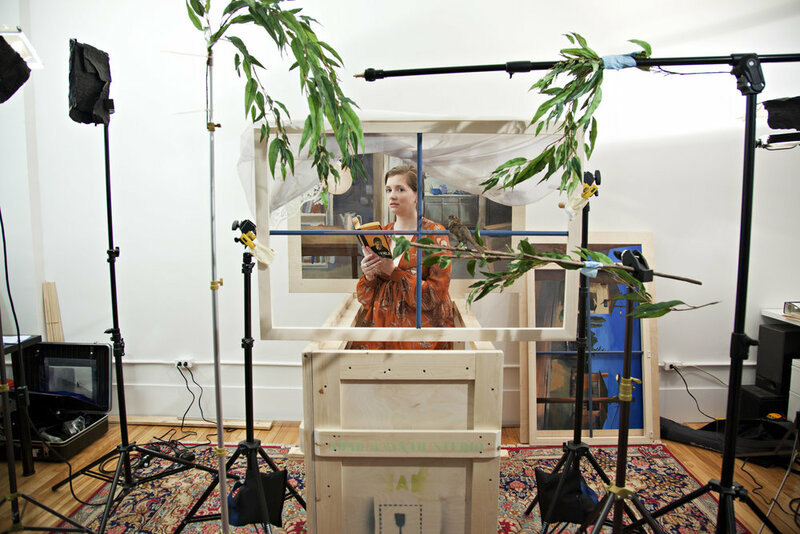 The two crates each contain everything needed for the installation, the windows, the branch with the stuffed bird, the plasma screen, the wooden stands, the costumes, the book the model is holding, and the media player used to play the video. 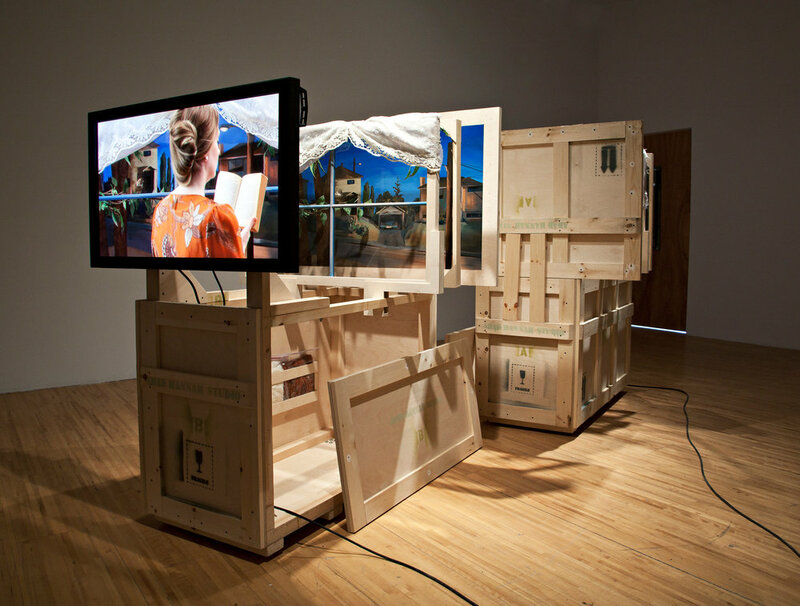 The videos were shot inside the same crates they are then exhibited on - the plasma screen simply replacing the camera. 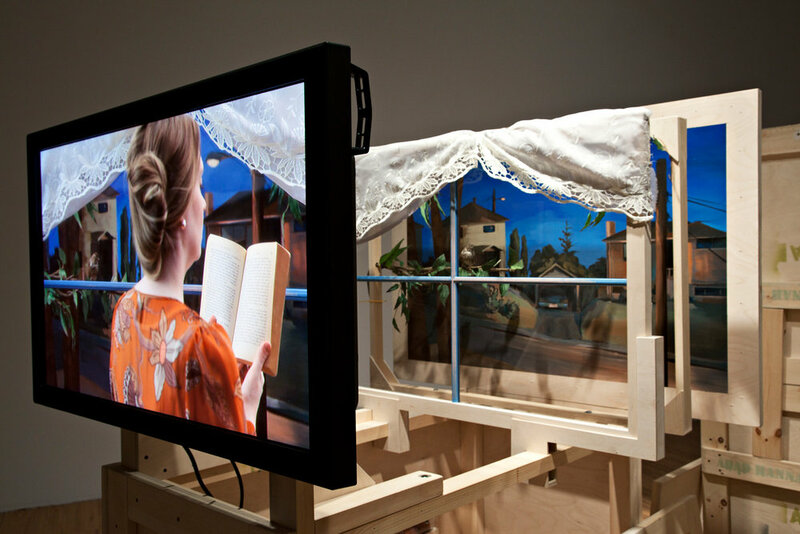 This piece was produced during a residency at DAÏMÕN in Gatineau, Quebec and exhibited for the first time at AXENEO7 as part of Objet Indirect Object curated by Marie-Hélène Leblanc and Steve Loft.